Product #5808 | SKU FPW00301 | 0.0 (no ratings yet) Thanks for your rating! 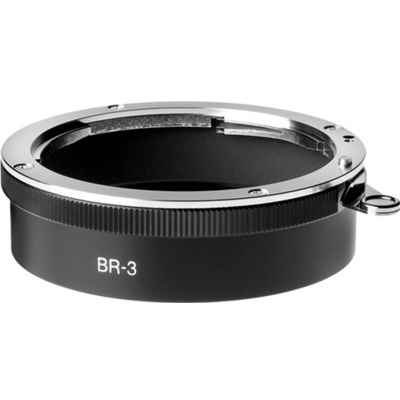 The Nikon BR-3 Bayonet Mount Adapter Ring for 52mm Filters attaches to the rear of a Nikon mount lens when that lens is reverse mounted to either a camera or bellows unit. It provides 52mm threading for filters and other front attachments when the lens is reversed. Box Dimensions (LxWxH) 2.25 x 2.25 x 0.5"